She'll have stars in her eyes after receiving this stunning gift! 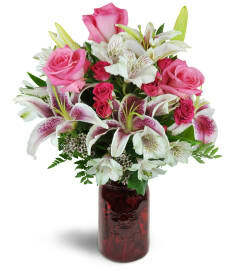 Beautiful, large stargazer lilies and delicate deep red spray roses are a simply fantastic treat for a very special day. 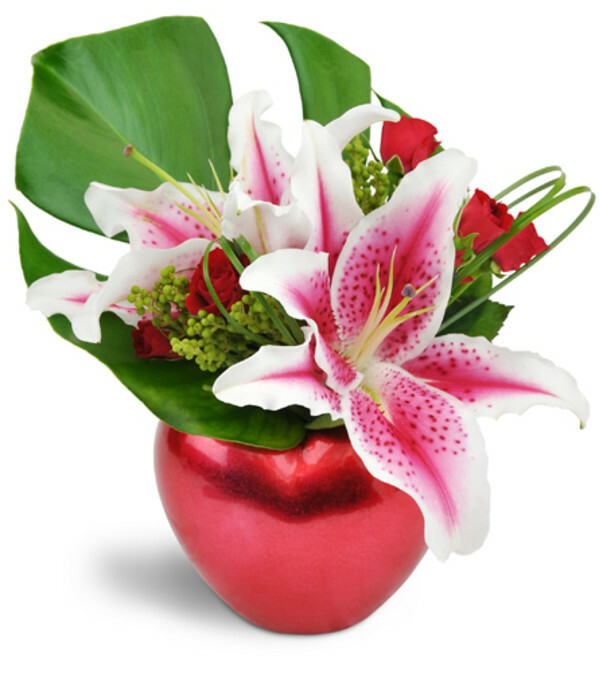 Stargazer lilies and fragrant spray roses are arranged in an adorable red heart-shaped keepsake vase! It's two gifts in one! 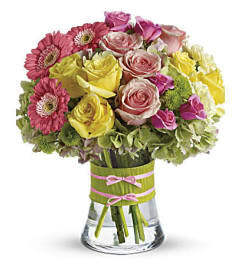 Great flowers and very nice employees, will come back.